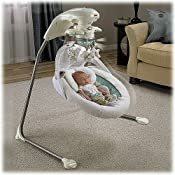 The Fisher-Price My Little Lamb Platinum Edition Cradle Swing has all of the great features of the original, but with more added! 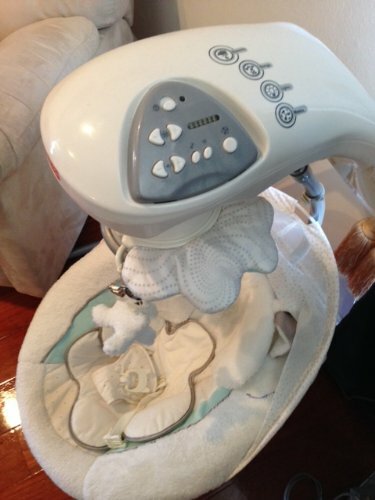 The swing features plush fabrics like velour and boa to embrace baby in softness as well as a canopy. 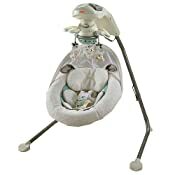 The seat features 3 seat positions providing Mom with options for her baby that include side-to-side cradle motion and head-to-toe swinging motion. 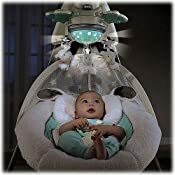 Swing includes deluxe features like a starlight show on the canopy, accompanied by 10 tunes (5 soothing, 5 entertaining) and nature sounds as well as soft lambs and clouds floating overhead on the motorized mobile to engage baby. There is also a detachable shiny star to keep baby entertained. 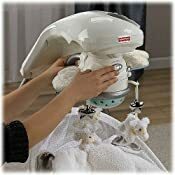 With two different ways to swing, 6 soothing speeds and 3 seat position, you can customize baby's experience: just swinging, swinging with music, swinging with music & mobile or any combination of the three! Mom will also save on batteries with the new plug option!